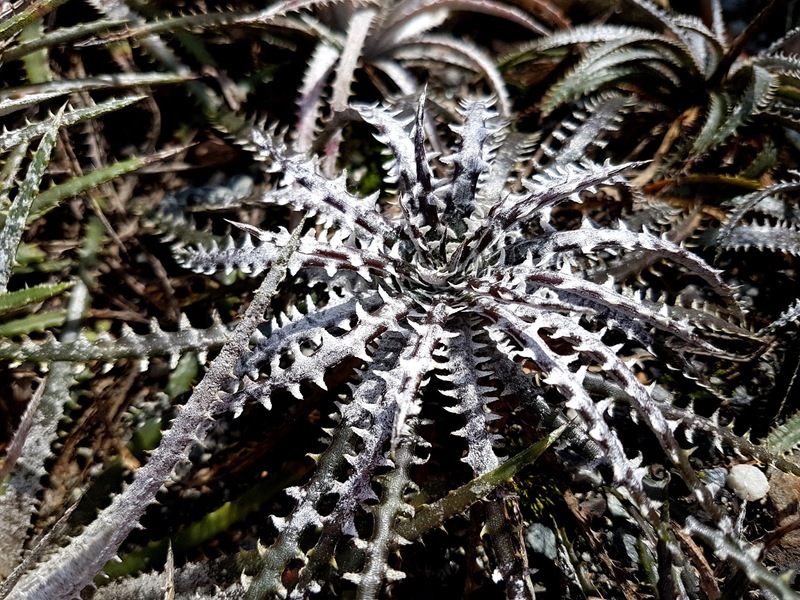 Large populations keep big surprises. Some have a very few spines, some are dwarfened, some are hairy, toothy, giants... Would them be well kept leftovers of a long ago passed time? 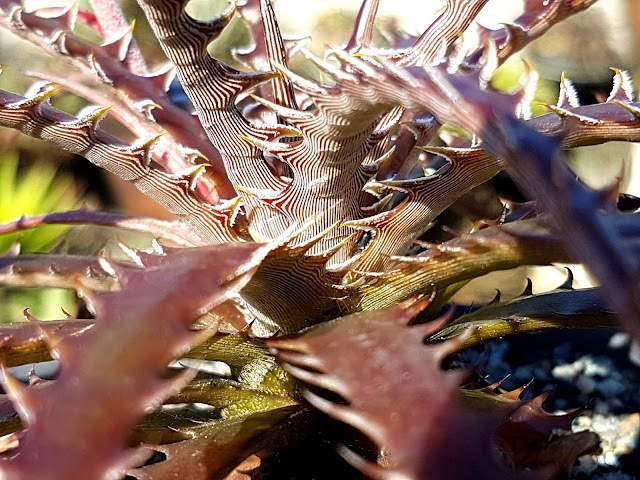 We know the future is not granted by the very same individuals but the special ones, the different ones, the rare, weird and the rudiculous. 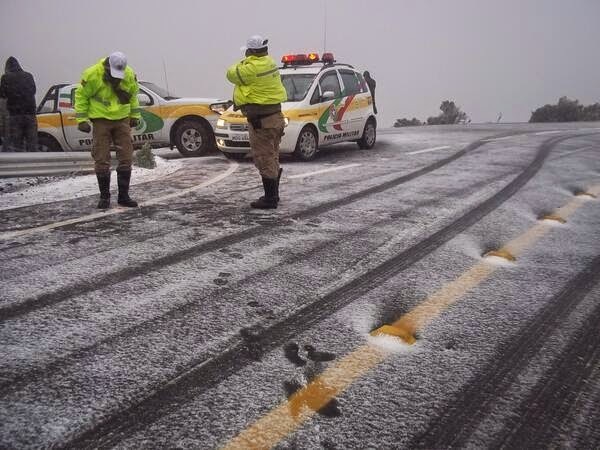 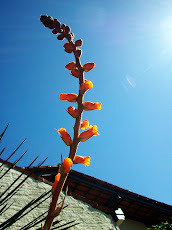 Nothing stands still, everything changes, the planets change. 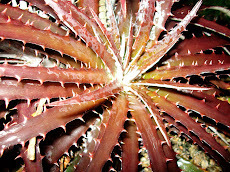 Survives those the faster stand the cold or the cool times, those that fly higher or burry deeper, those with an accute sight, those that run faster, or with a thick coat, thos better disguisedto predators, the mimetic ones, narrowest leafed or the broadest ones, big brains...well the possibilities are endless. 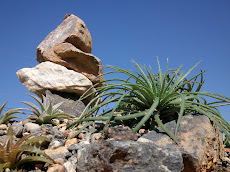 There is no certainty nor perfection in nature and less yet eternity!!!! 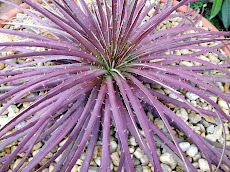 The more perfect and well addapted lesser are theirs the changes to reach future. 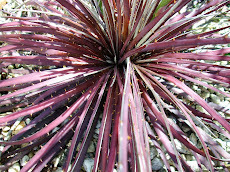 It is the strange, the weird the thicket to heavens!!!!!!! 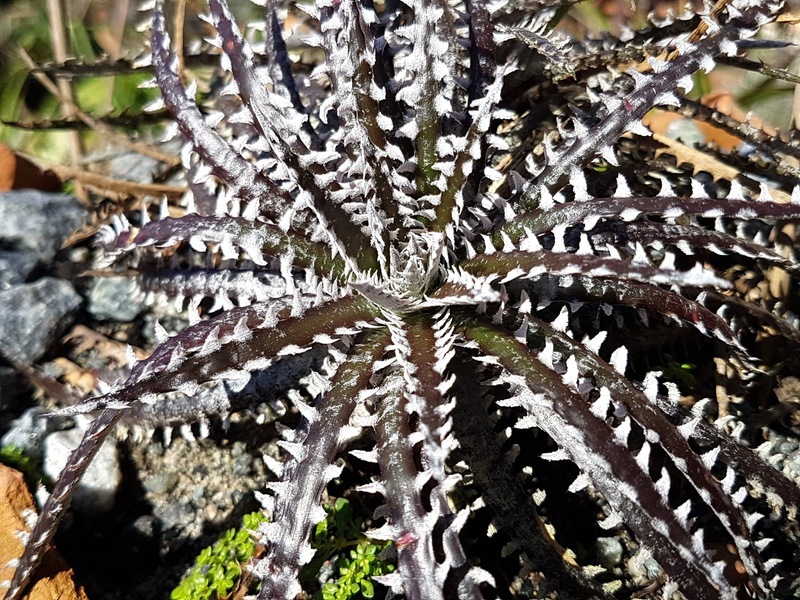 A beautiful wandering (vagans) Ortho. 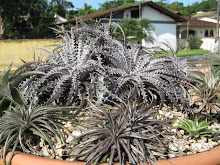 One of the most beautiful creatures from the southern Brazilian rocks. 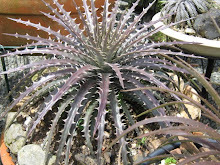 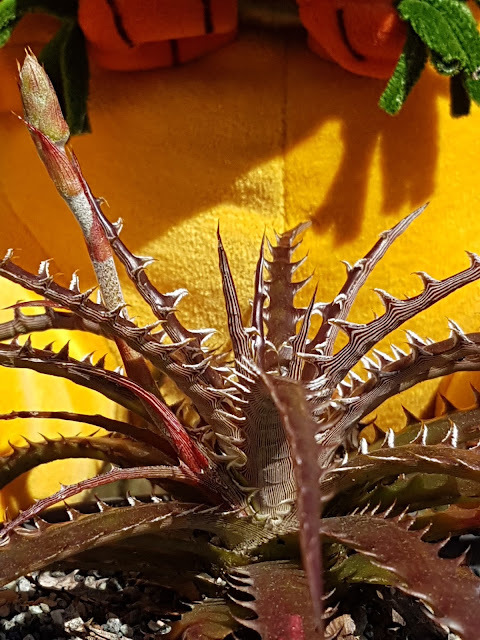 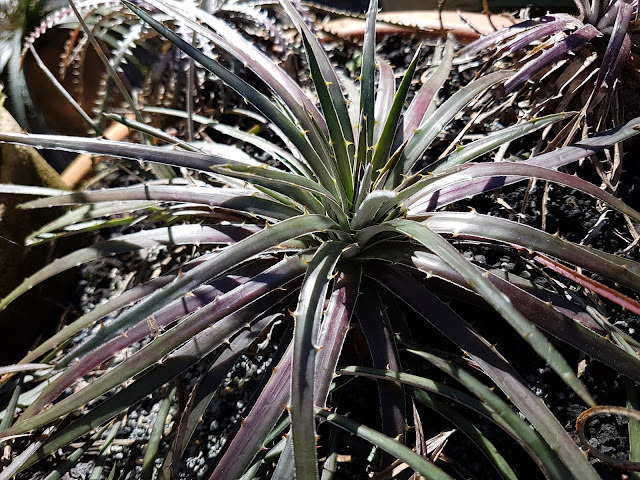 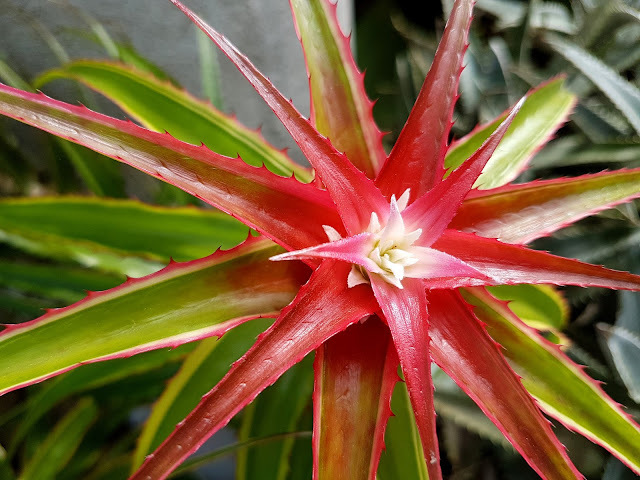 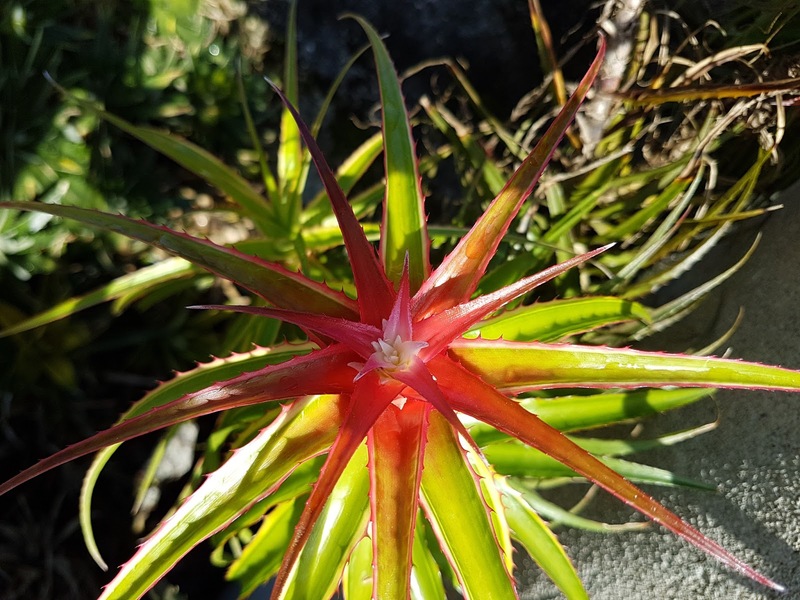 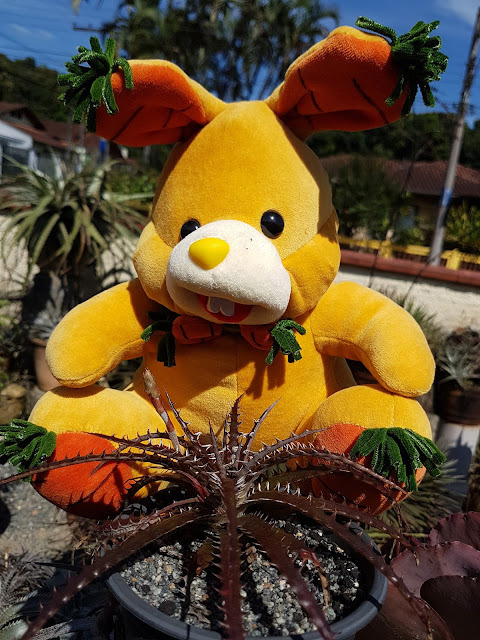 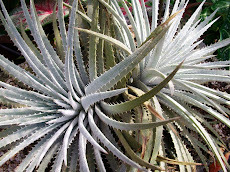 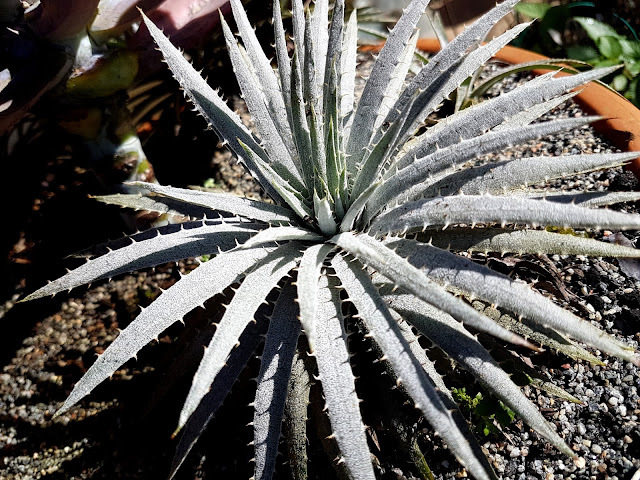 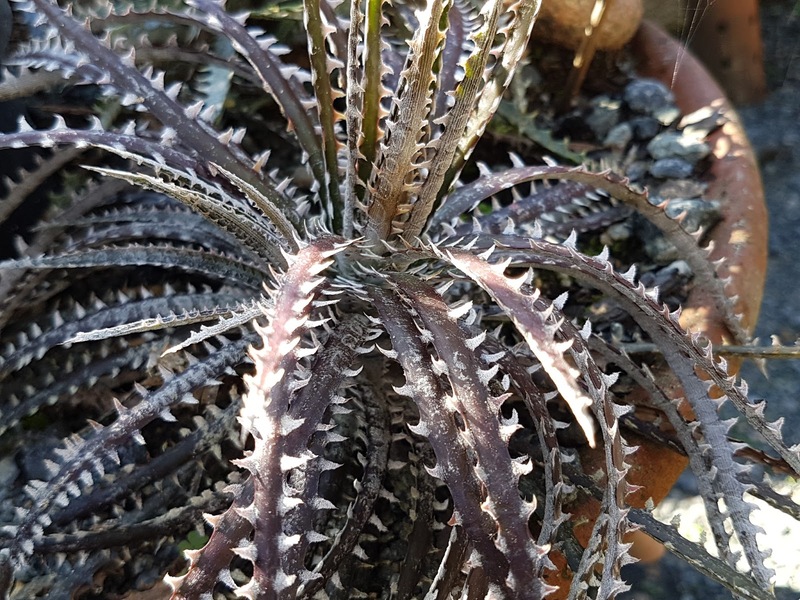 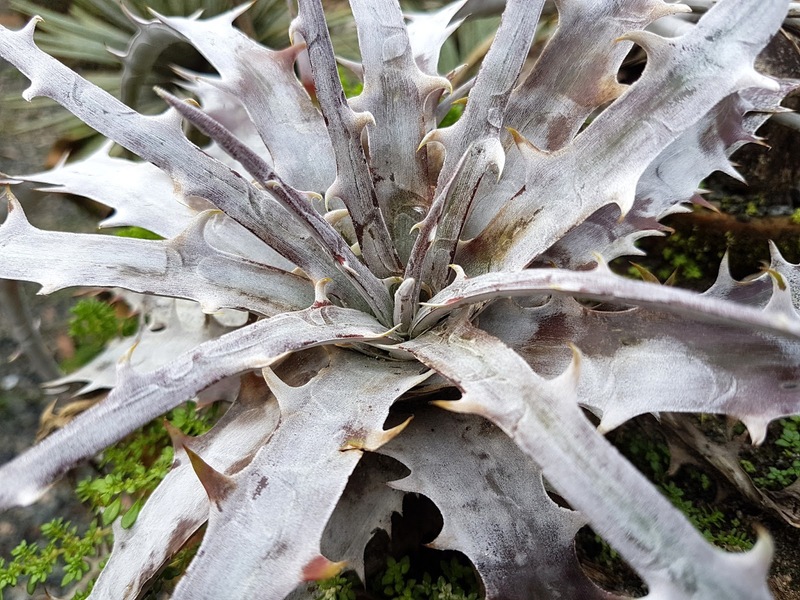 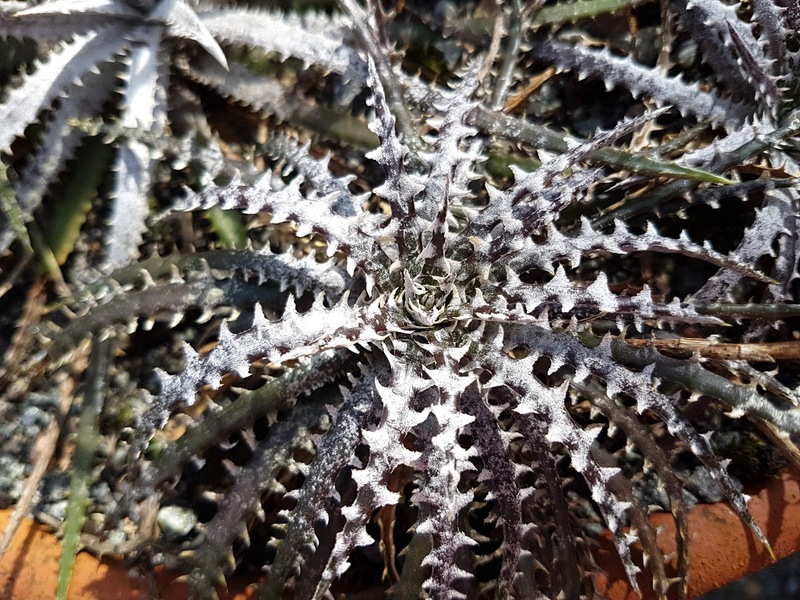 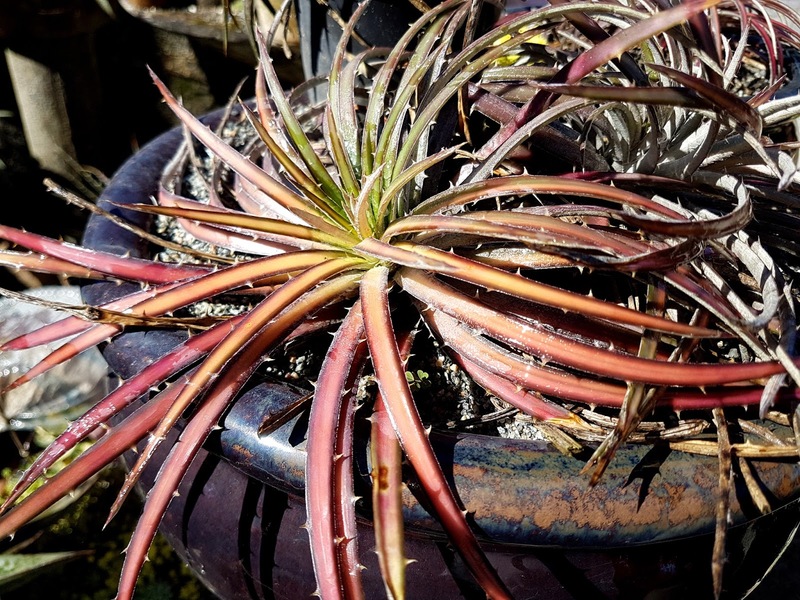 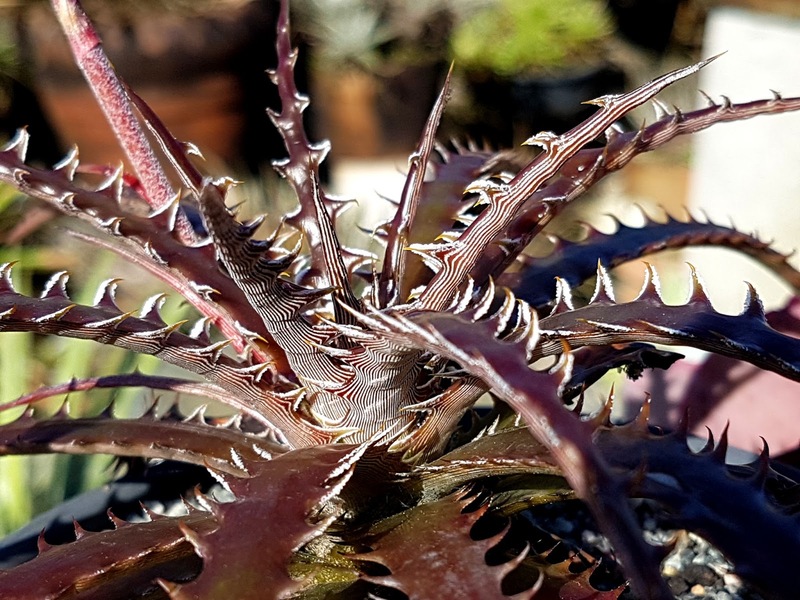 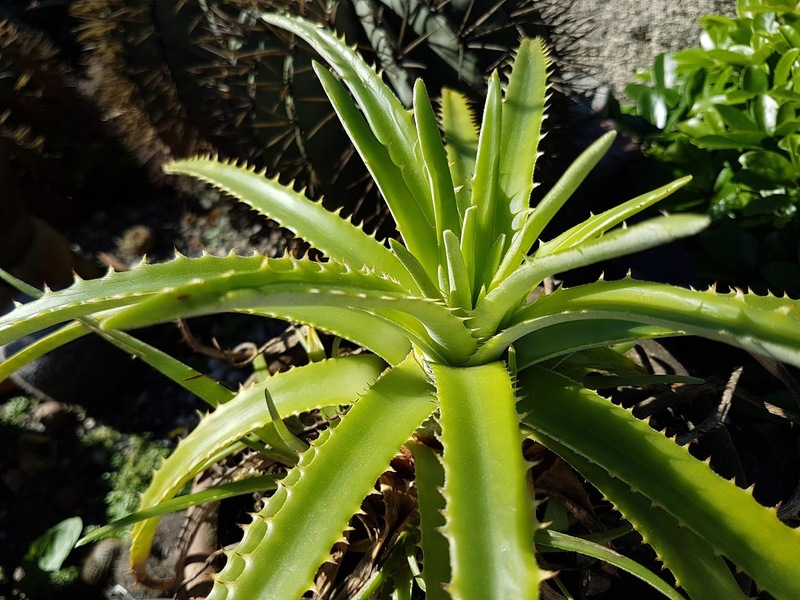 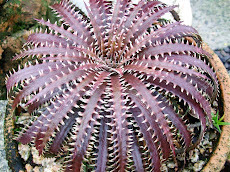 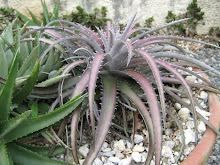 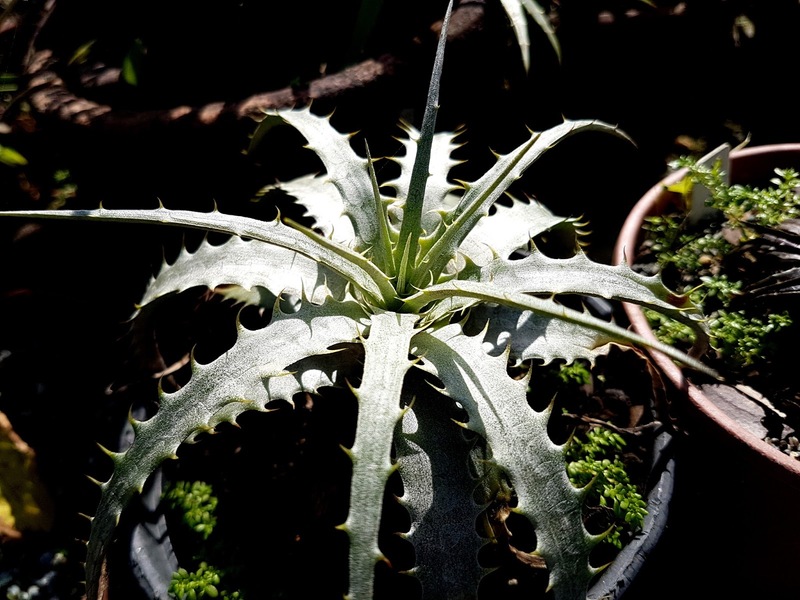 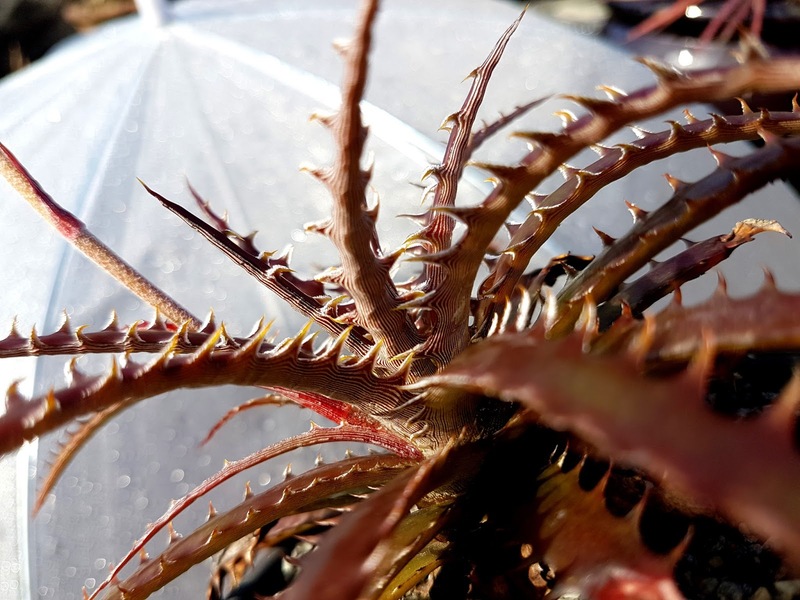 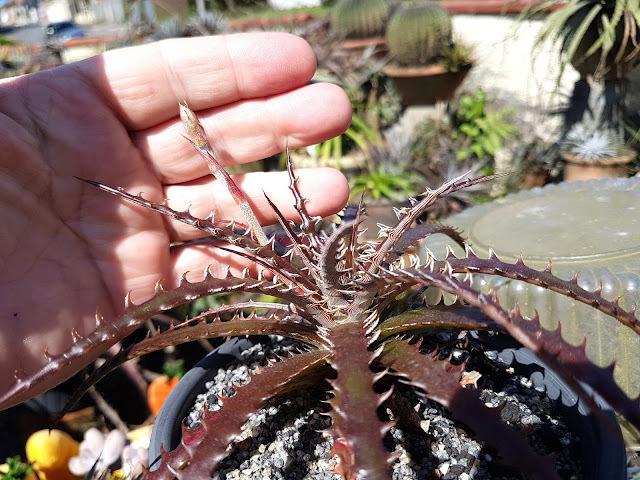 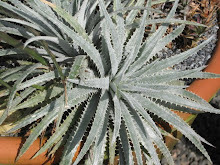 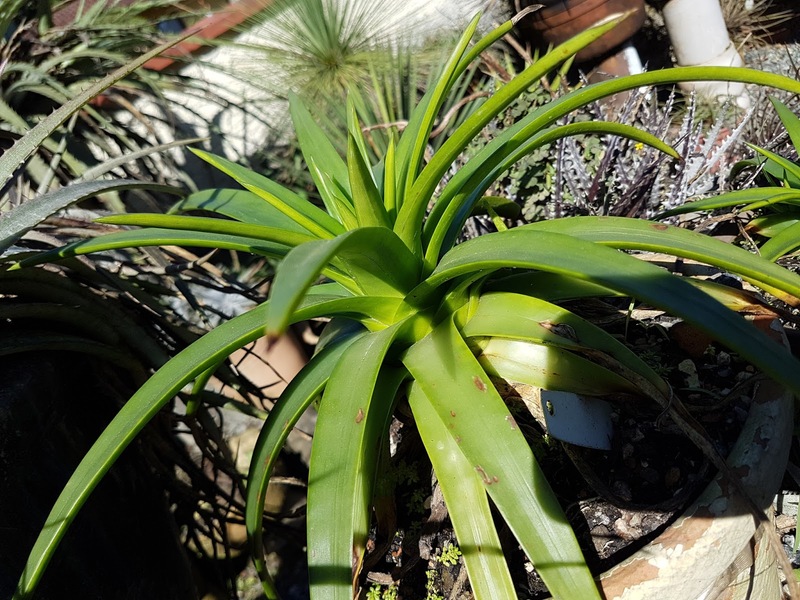 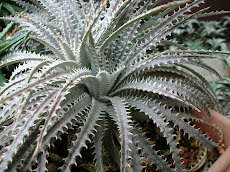 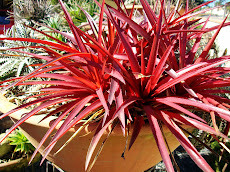 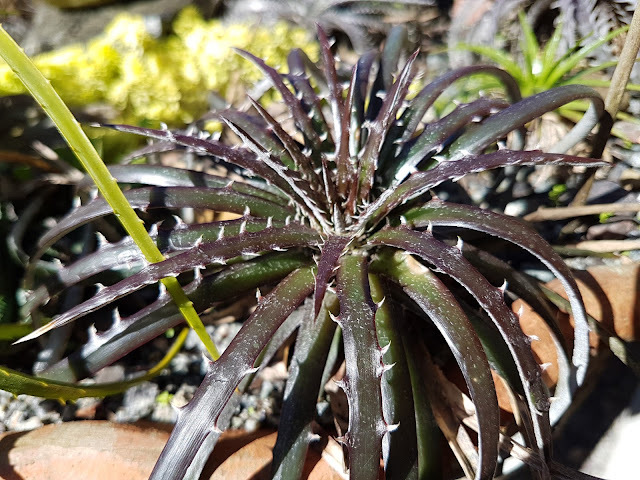 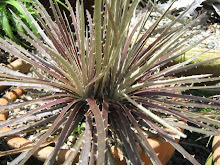 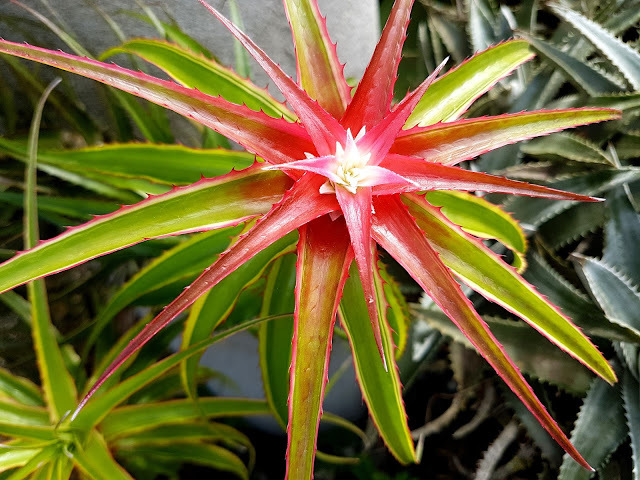 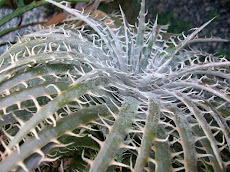 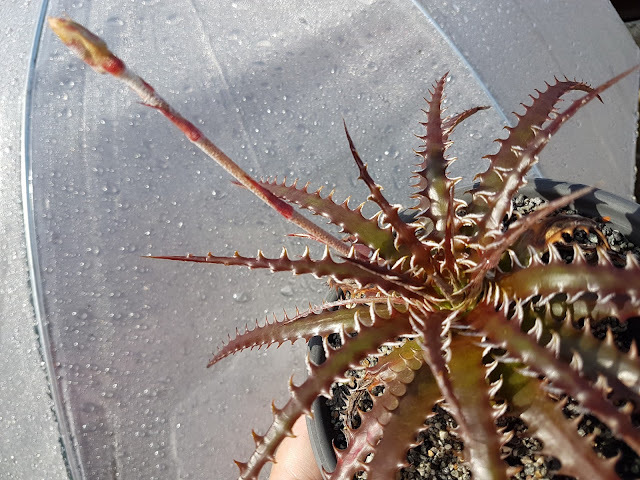 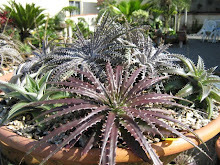 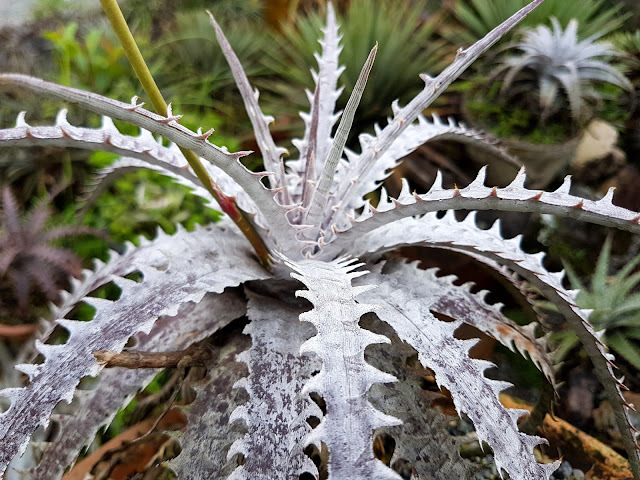 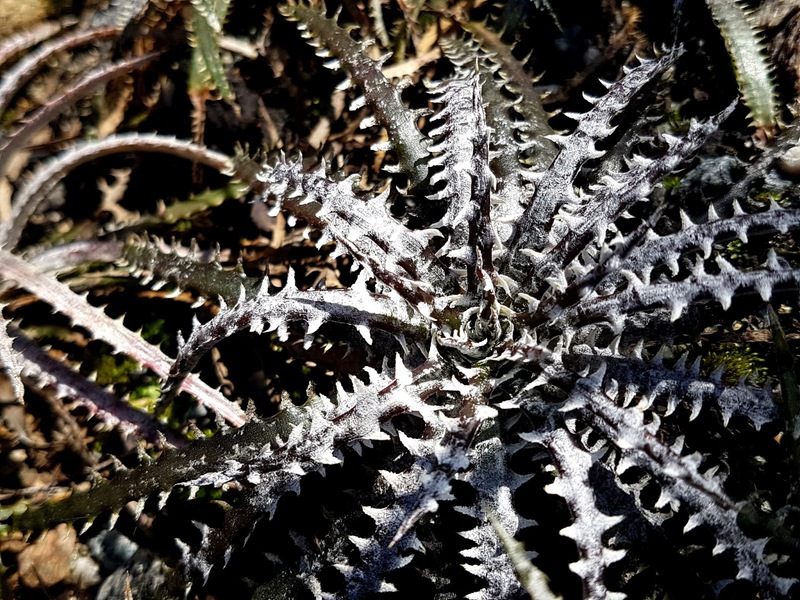 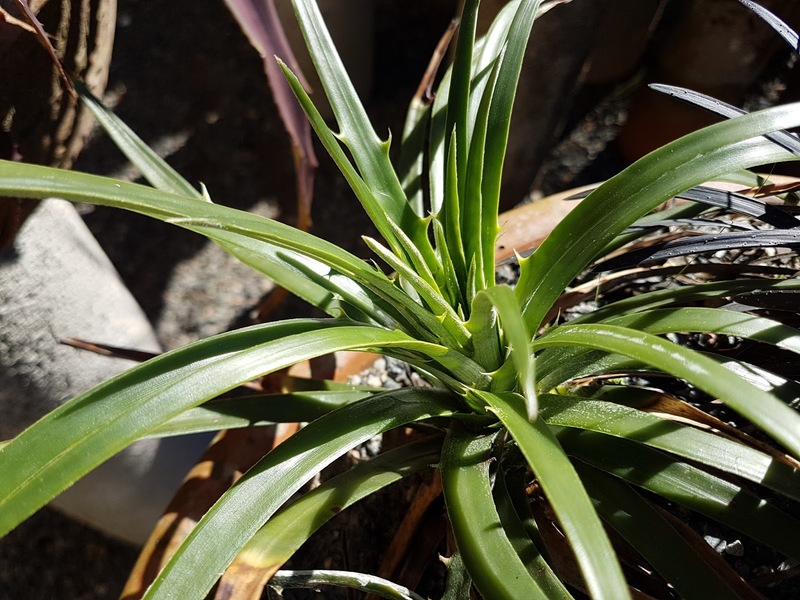 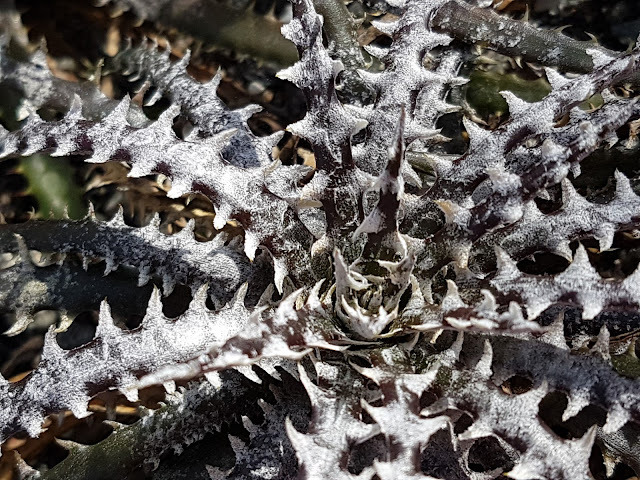 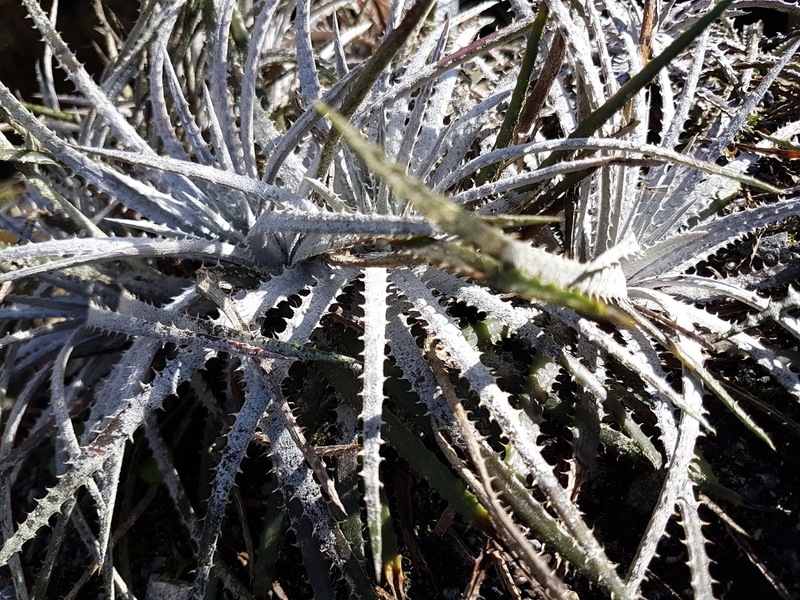 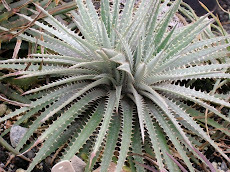 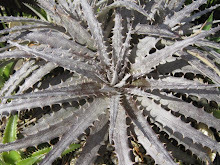 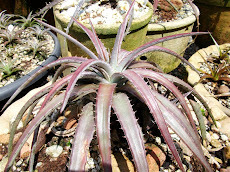 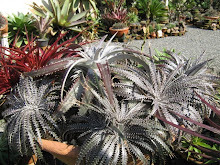 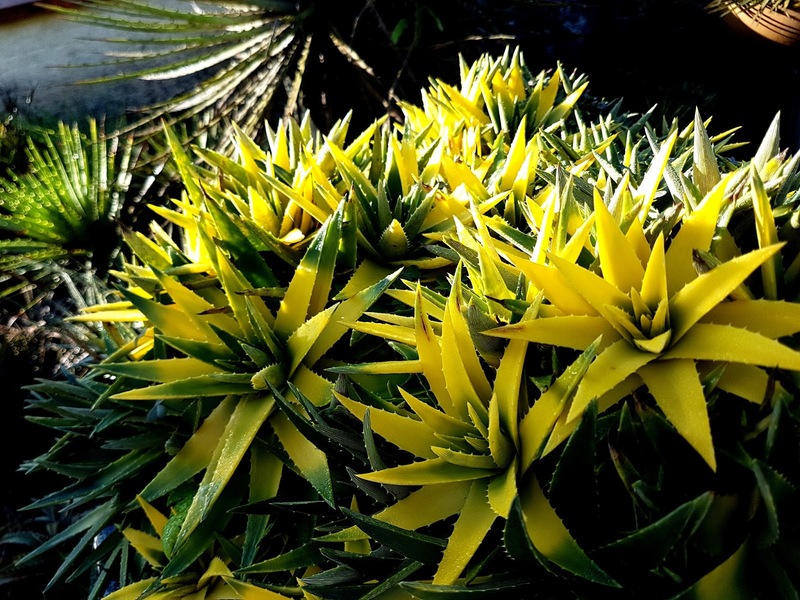 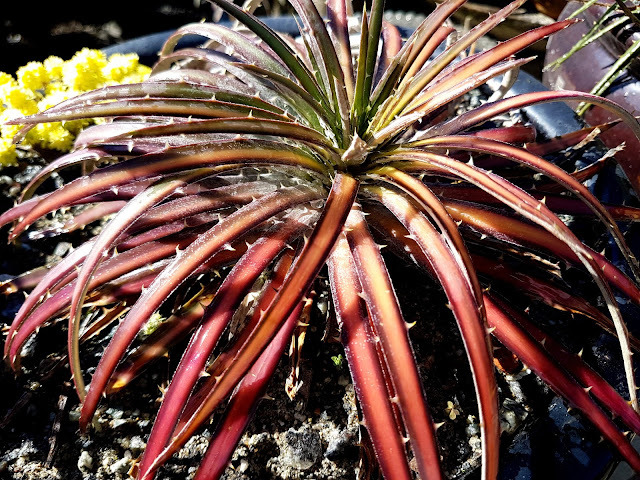 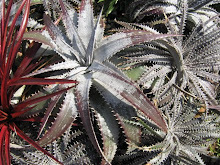 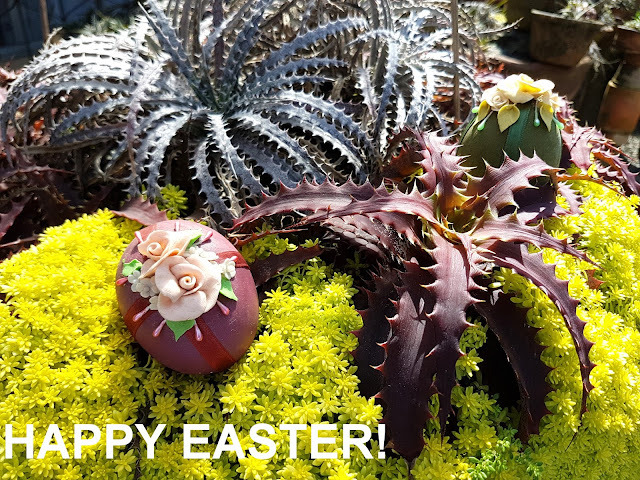 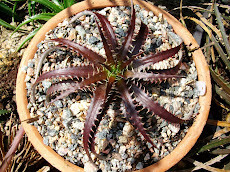 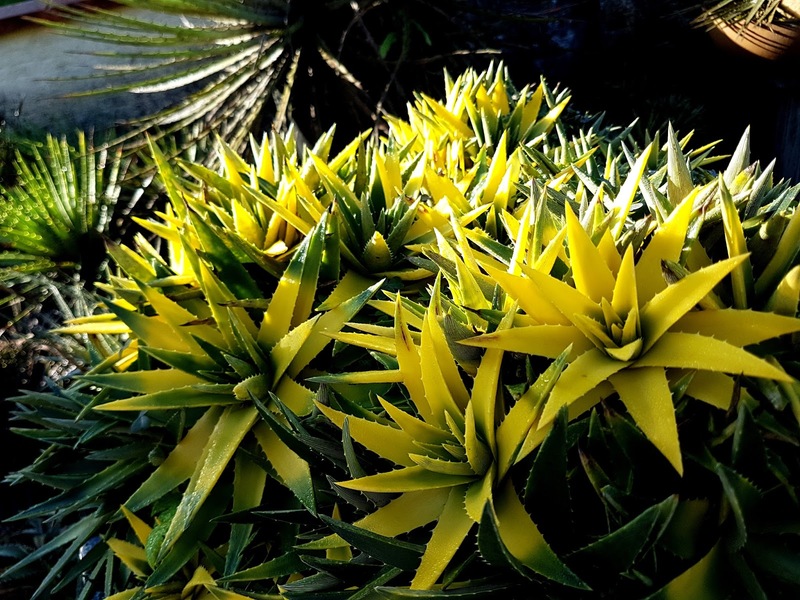 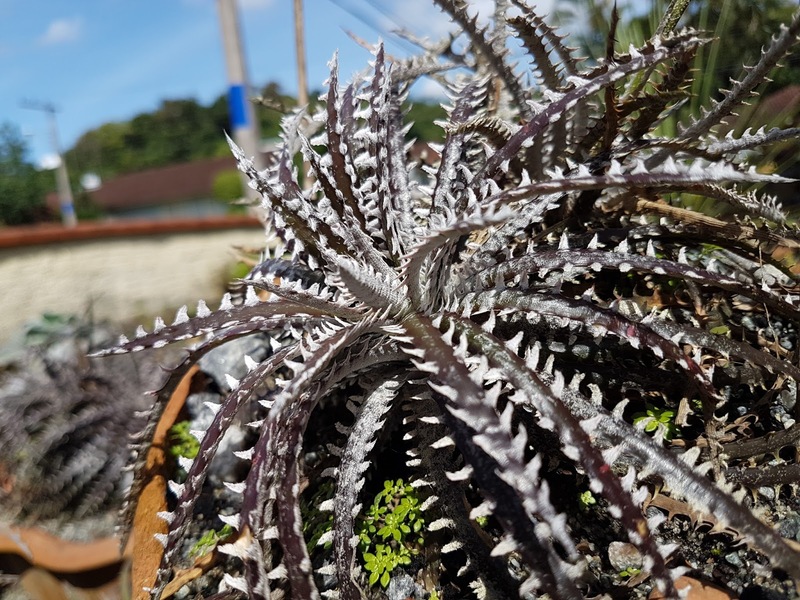 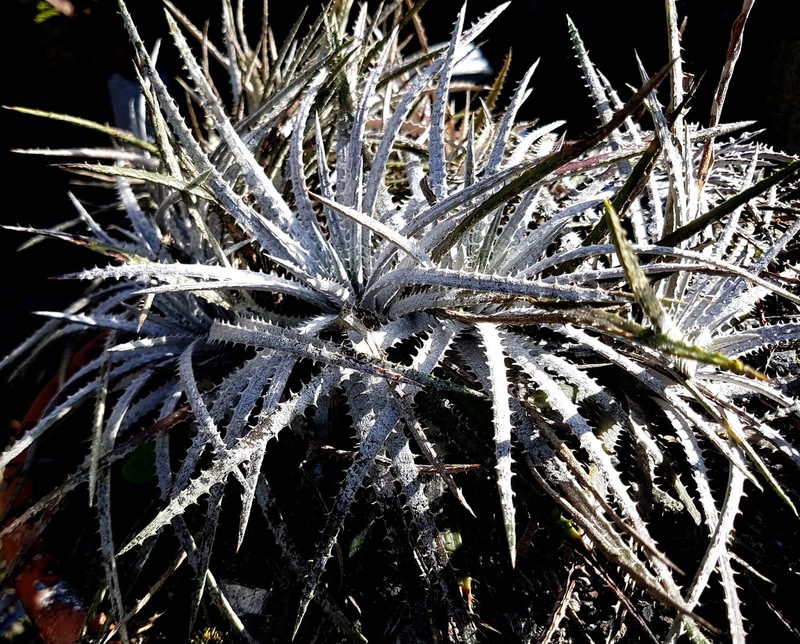 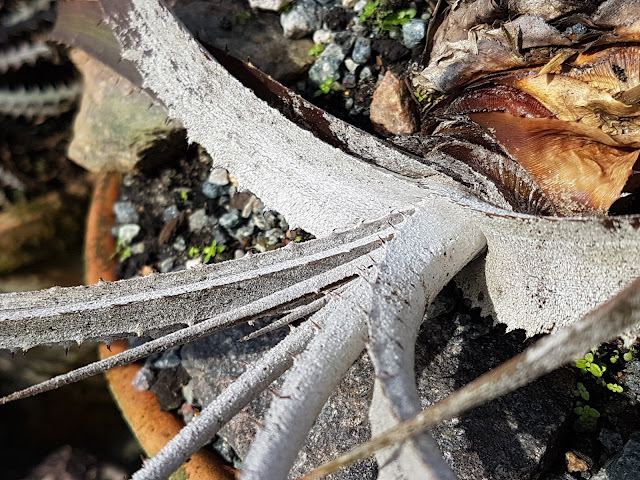 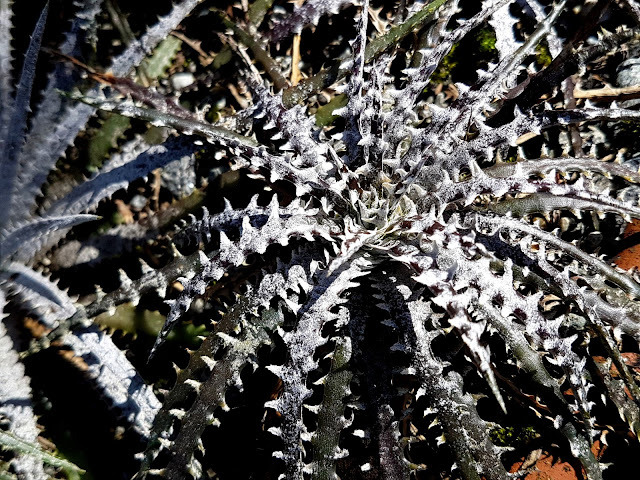 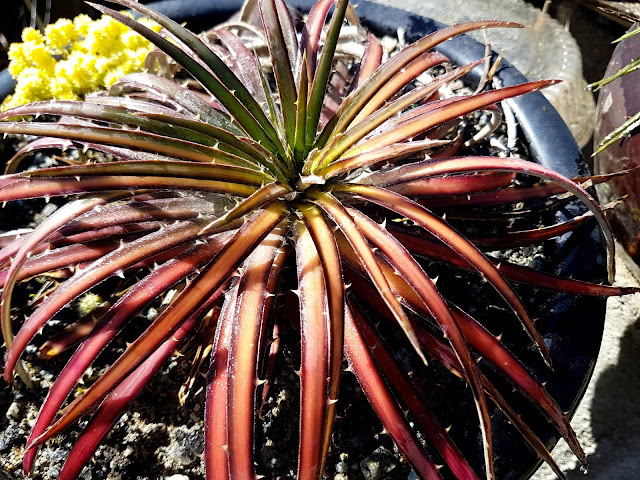 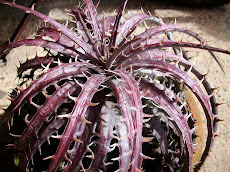 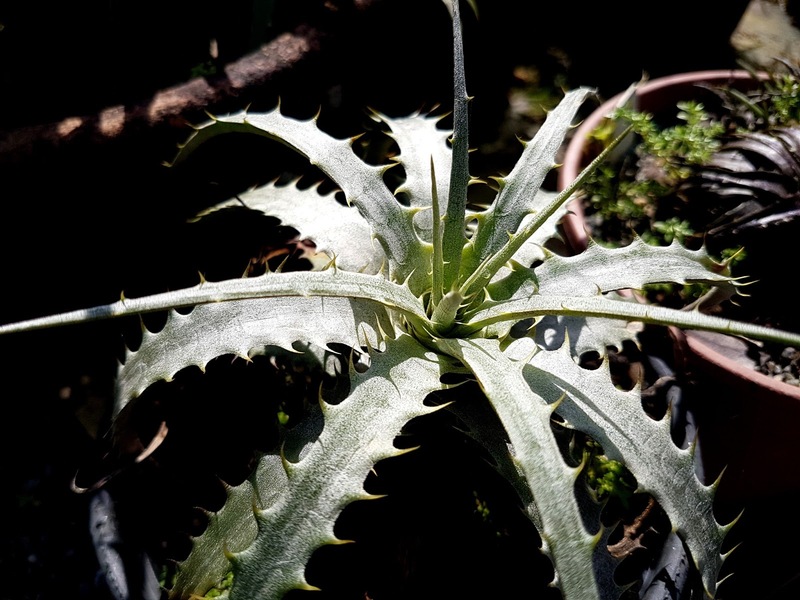 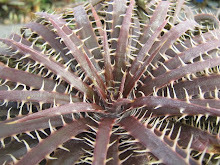 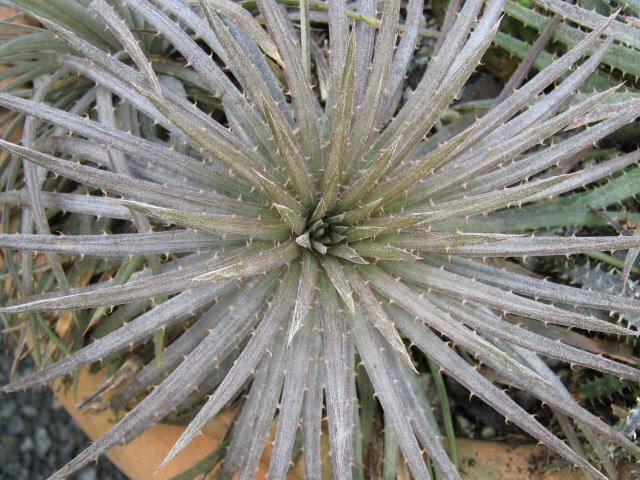 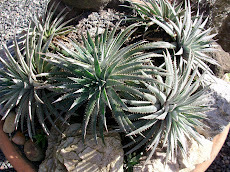 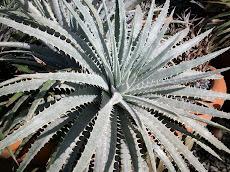 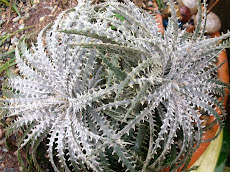 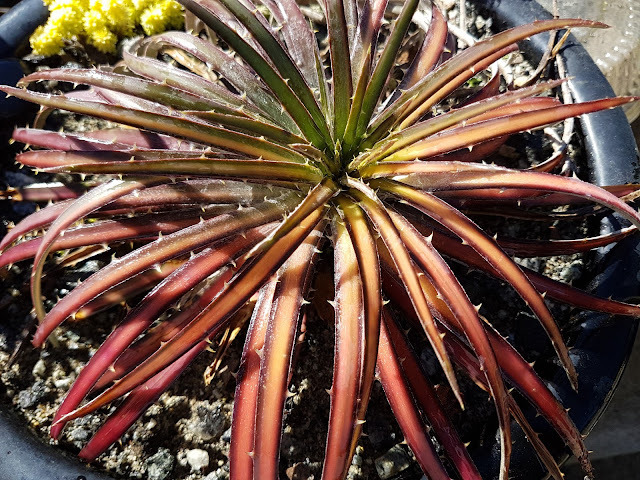 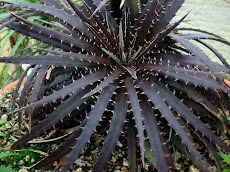 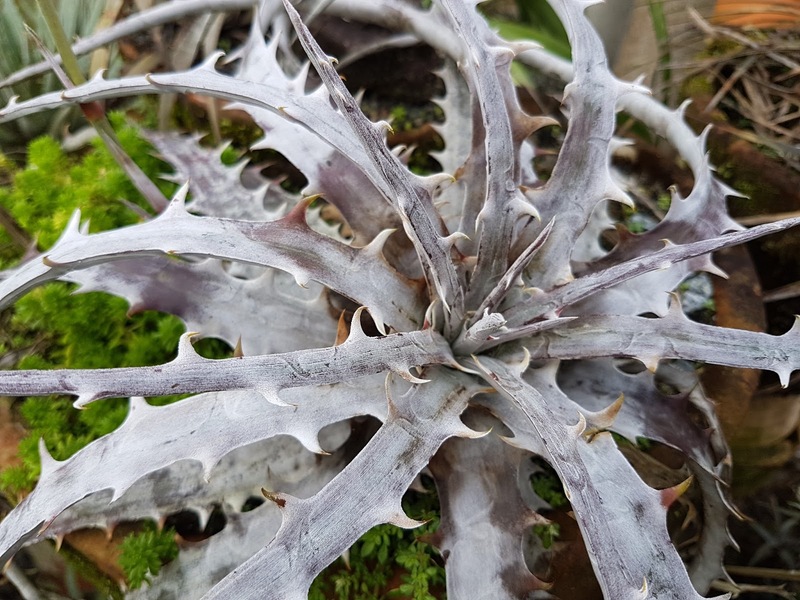 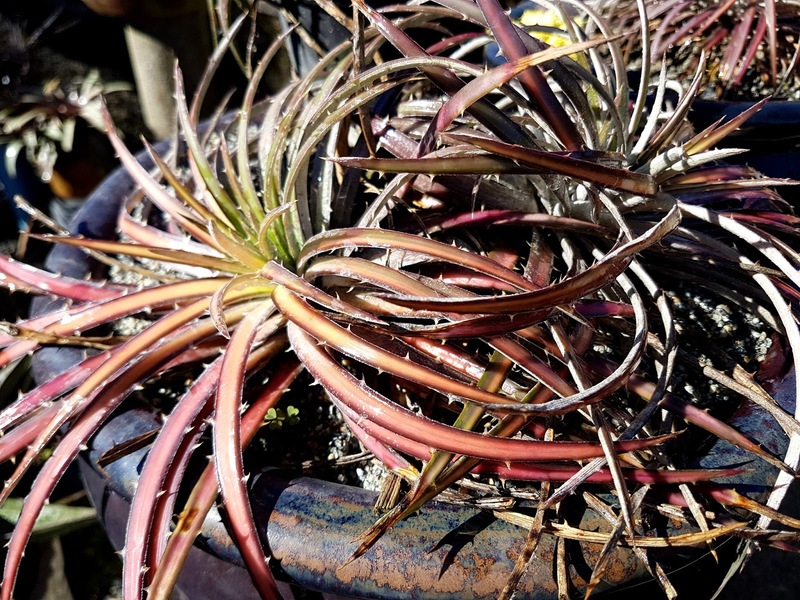 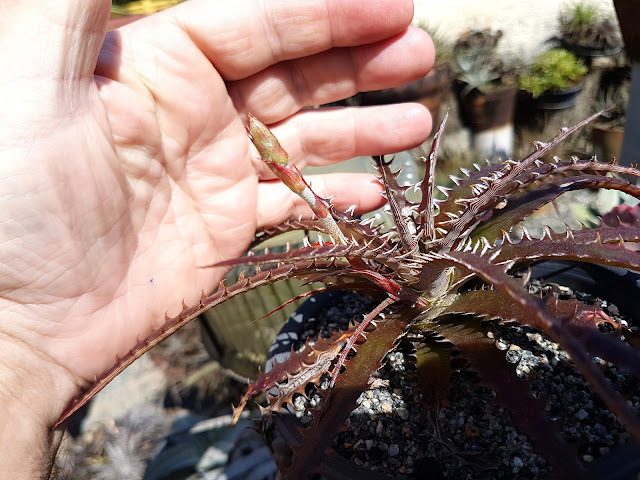 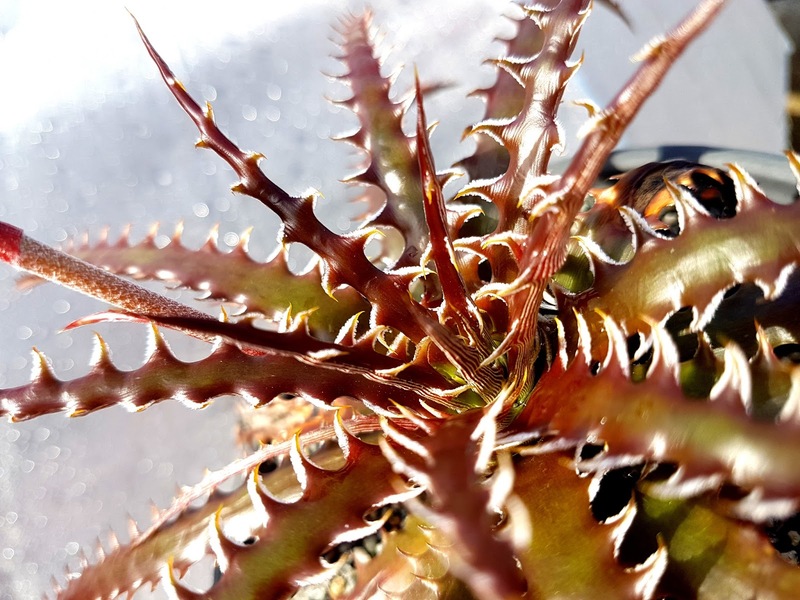 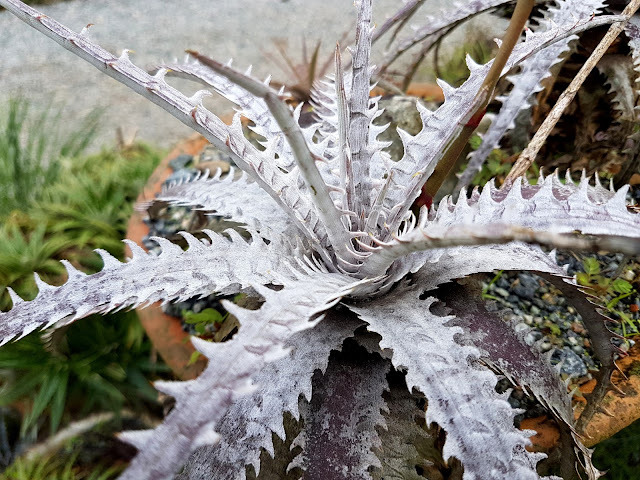 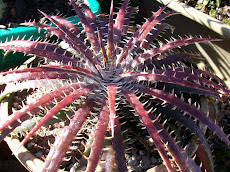 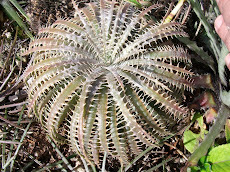 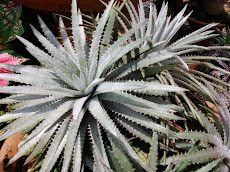 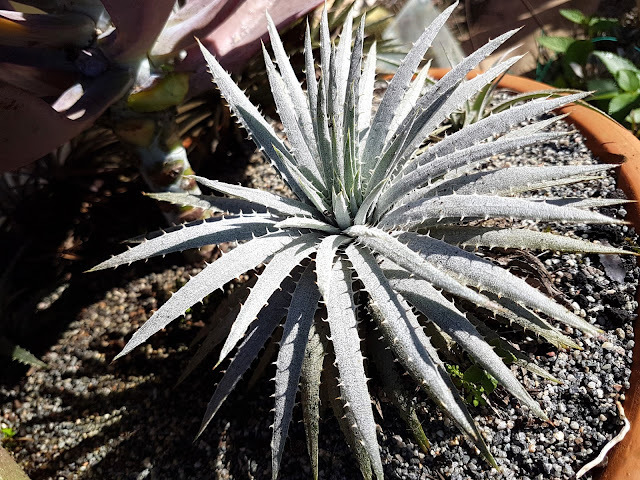 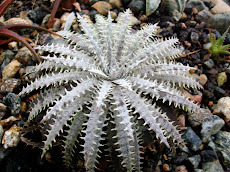 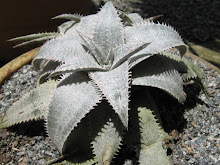 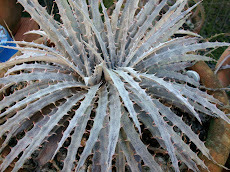 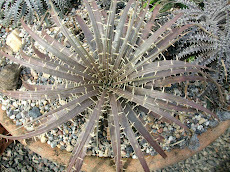 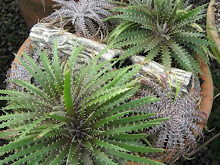 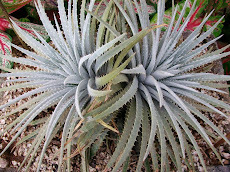 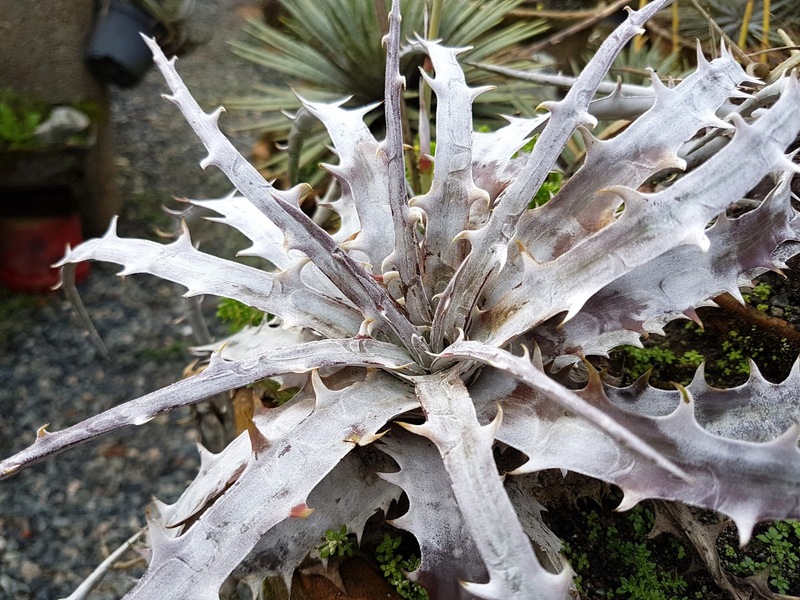 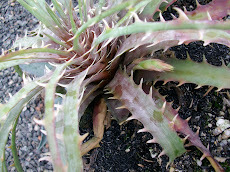 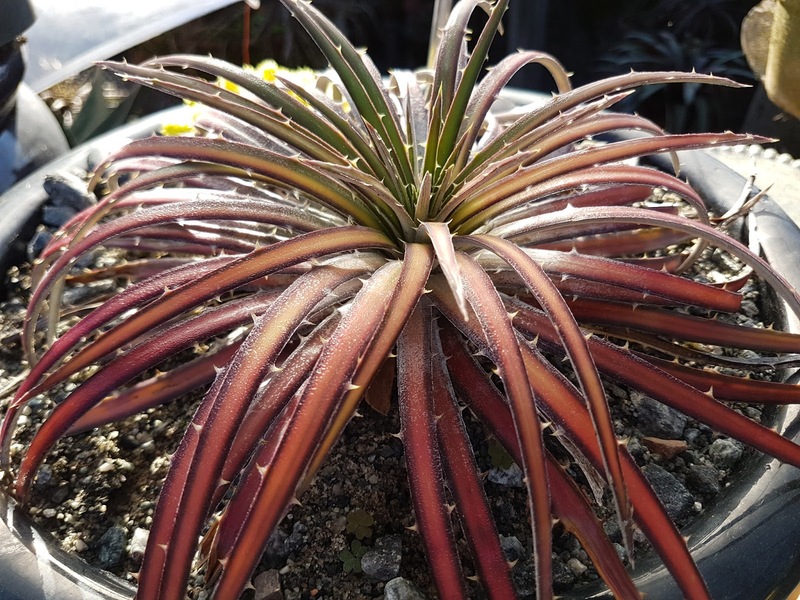 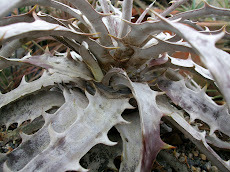 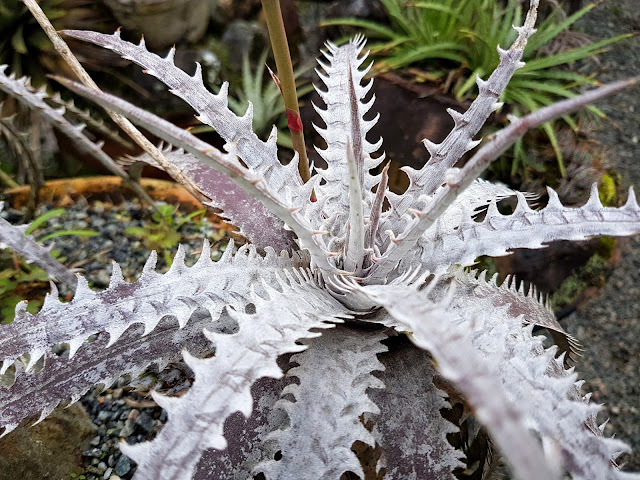 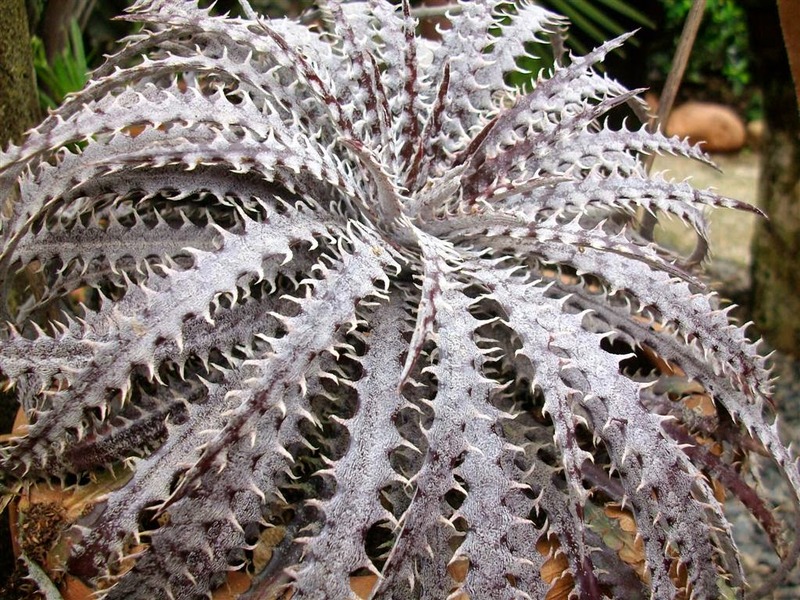 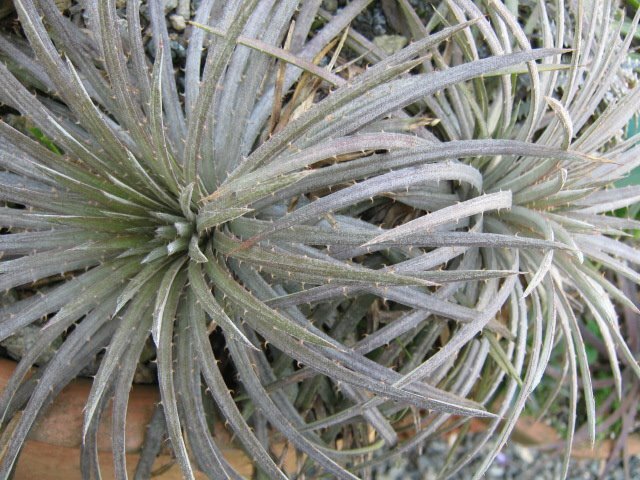 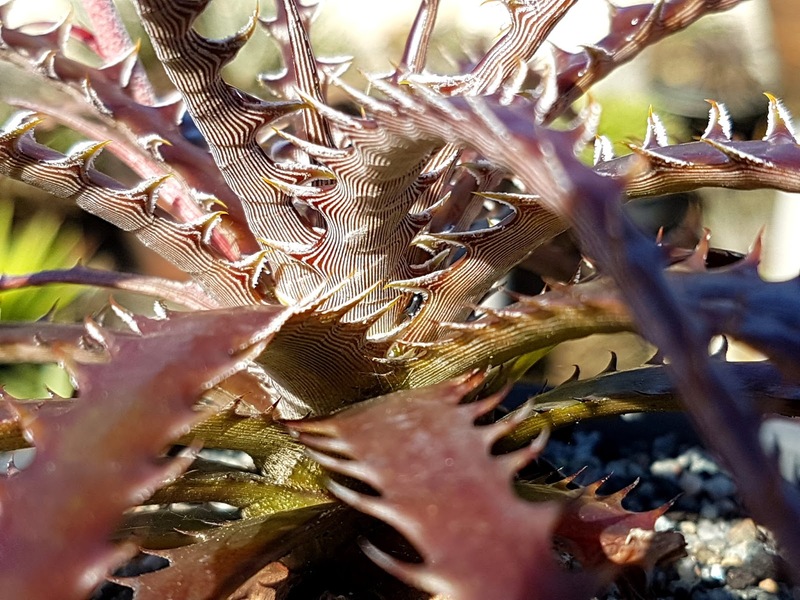 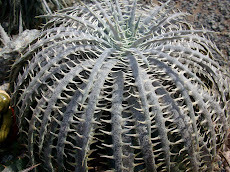 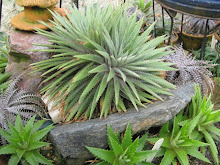 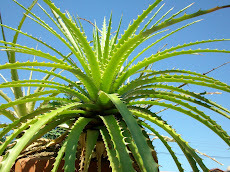 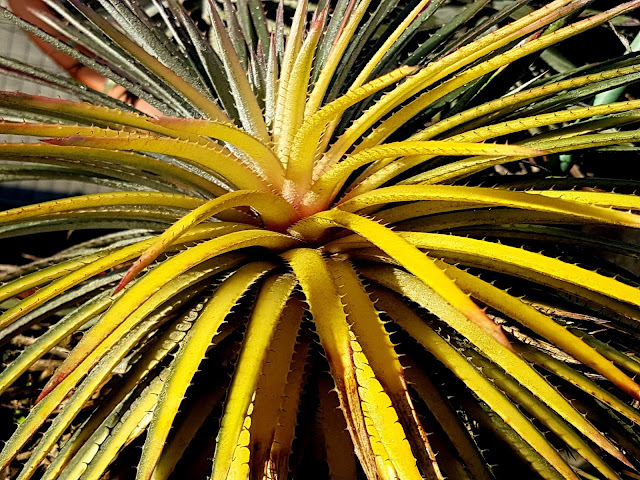 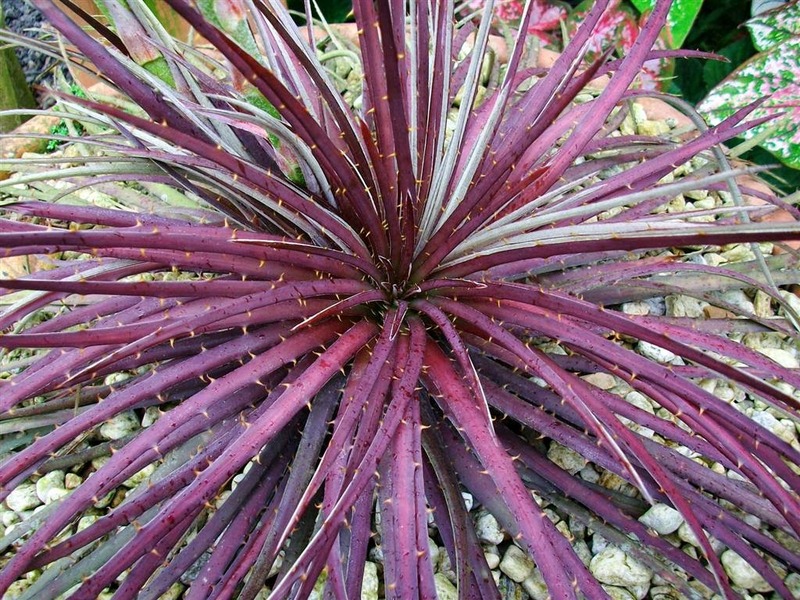 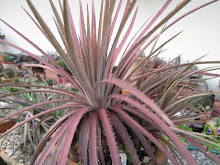 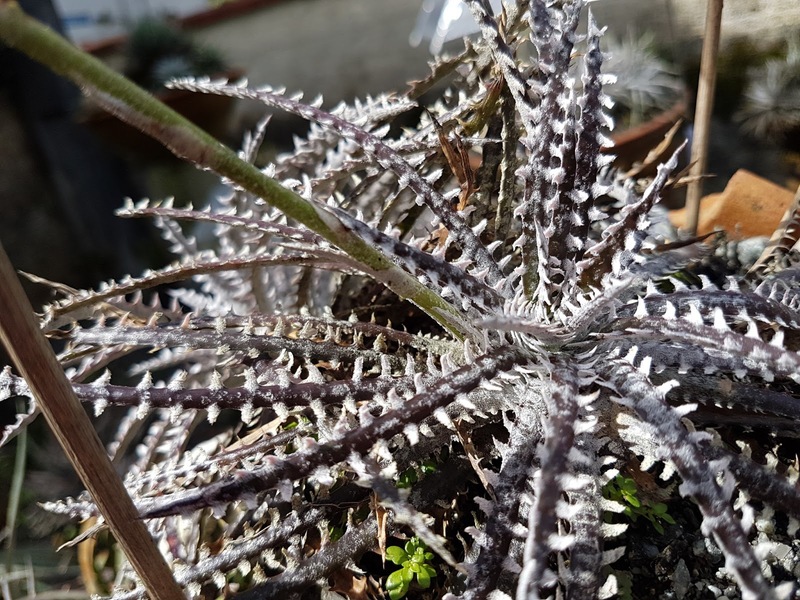 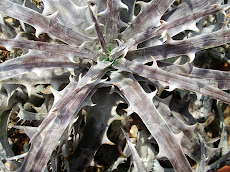 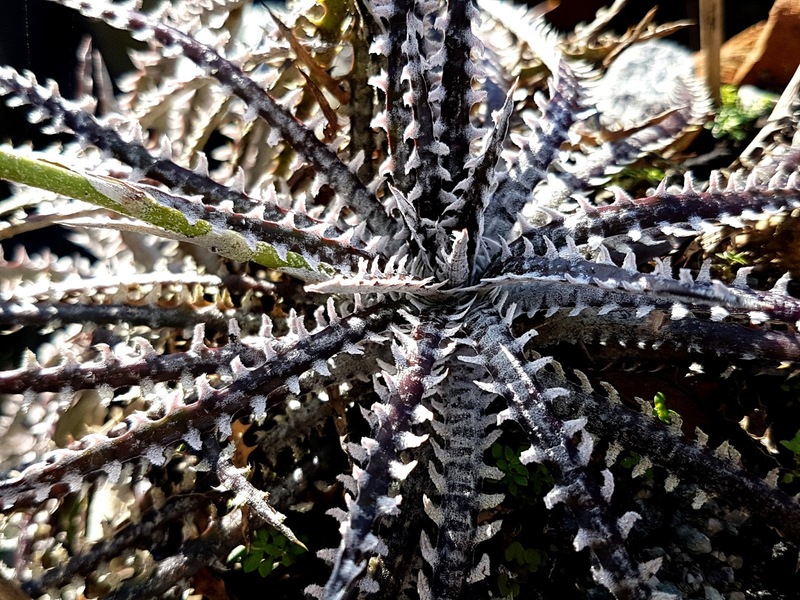 Below we can see another Dyckia fosteriana Sengés form. 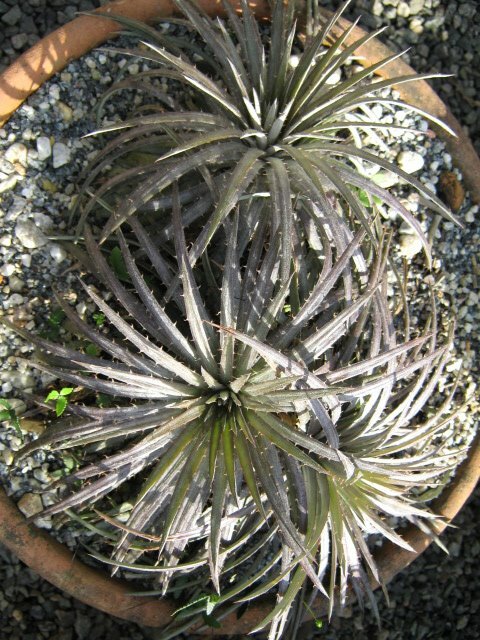 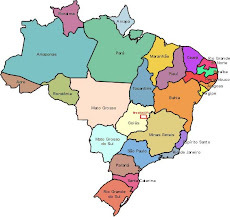 It is similar to the upper one and also beautiful. Sengés are all dwarf ones! 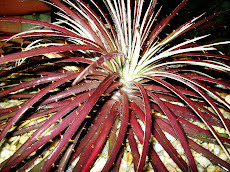 Cute and pretty they do not fail to catch one´s eyes.